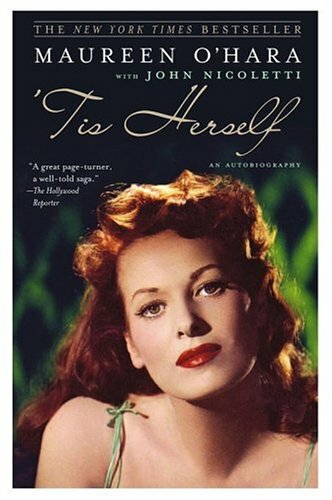 Recently, on a whim, I picked up a copy of Maureen O’Hara’s 2004 autobiography, ‘Tis Herself (written with John Nicoletti). I’ve been on a bit of a nonfiction kick lately, and any day in which I can take some time to read about my favorite classic film stars … well, that’s just a damn good day. In writing her memoirs, O’Hara holds nothing back–well, very little, anyway. From her marriages to her career, O’Hara relates the story of her life with a great deal of candor and not a little pride. It’s an interesting read, to say the least. O’Hara is a remarkable actress, but I never knew much about her back story. Reading her autobiography now is a delight–it is written in a straightforward, yet entertaining manner about her life before, during, and after the Hollywood spotlight had descended upon her, and the stories of her encounters with her fellow Golden Age stars are, by turns, hilarious, touching, and somewhat horrifying. But her descriptions of life on the movie sets and her anecdotes about stars ranging from Charles Laughton (who was a second father to O’Hara) to Rex Harrison (whom she loathed) are, quite simply, enthralling. And only the hardest hearts among us will not shed a tear or two as she describes her final days with Wayne. The book is accompanied by a variety of publicity shots and candid photos of the star throughout her lifetime, highlighting the earthy, redheaded beauty that initially made her a star (and a cinematographer’s dream) in the earliest days of Technicolor. Taking her own advice, O’Hara leaves the reader with a veritable volume of brave memories, highlighting so brilliantly the mark she herself has made. Fascinating and memorable, O’Hara’s autobiography reveals a prideful, searingly dedicated woman who was determined to be the best in the world and, like any determined Irish lass, made it to the top in record time. If you have never had the chance to read it, I can tell you right now, it’s definitely worth a perusal. We have published some new photos and a video clip of Maureen’s appearance at the launching of the Ranelagh Arts Festival (Maureen’s birthplace) near Dublin – Sept. 24, 2010. 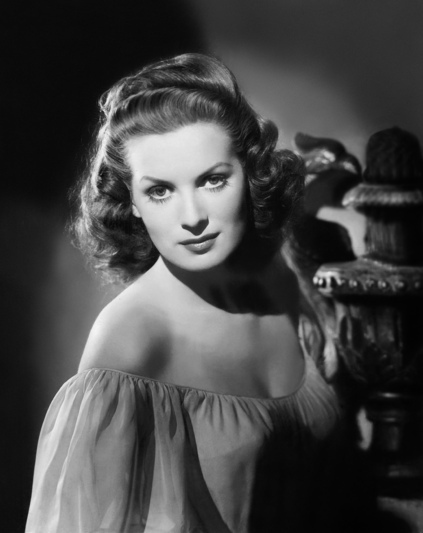 So Google “Maureen O’Hara Magazine” – Maureen’s official website – for the updates and lots of other archival information on her life and career.
. Even though the story was a bit lame, she and Stewart saved the film. I didn’t realize until near the end that Brian Keith was playing the part of Bowen. I remember him from Family Affair. Wow, I feel OLD.